Have you ever heard of a chiropractor talk about “maintenance” care, or perhaps they used the term wellness care, any way its is called it may sound like some ploy to keep you as a chiropractic patient the rest of your life. I can tell you it is no more of ploy than Dentists recommending check-ups twice a year. Regular chiropractic care can have a profound effect on your health and subsequently your life. To support this claim I found a 3 year old paper published by Egyptian MD’s that found “maintenance” care to be effective in the treatment of chronic back pain. 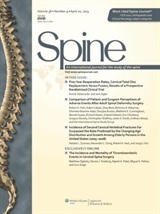 This paper is published in the journal Spine which is one of the top spine research journals in the world. Their peer review process is very difficult to pass and only some of the best papers make it publication. I found this study to be very interesting, mostly because it was published in August 2011 and the first I heard about it was January 8, 2013. I do my best to keep up with chiropractic research but somehow I missed this one. This paper was published by 2 medical doctors, which is really neat because it is rare for someone outside of chiropractic to publish research that validates chiropractic. This study was single blinded and placebo controlled. In this study the placebo group was given 12 treatments of fake adjustments. You might wonder what a fake or sham adjustment is and you are not going to find an answer in this blog post. Sham adjustments have been defined in the literature are too complex a topic to include in this post. The study groups consisted of a group of patients who received real chiropractic adjustments for 12 visits over a one month period and another group that got the 12 adjustments plus adjustments twice a month for a 9 month period after the first month of care. What does this all mean? Regular chiropractic care is important for managing chronic low back pain. The vast majority of the patients we see have chronic back conditions. If you have had back pain of varying intensity on and off for years, you have chronic back pain. Why do we recommend regular care after you have finished your initial course of treatment?, because it helps to keep your spine functioning properly and reduces the likelihood of a recurrence of back pain. If you do not believe me that regular chiropractic care is important for your spine health, look at this study by Egyptian MD’s for proof that it is.